Sire selection is one of the most critical decisions made by today’s cow-calf producer. 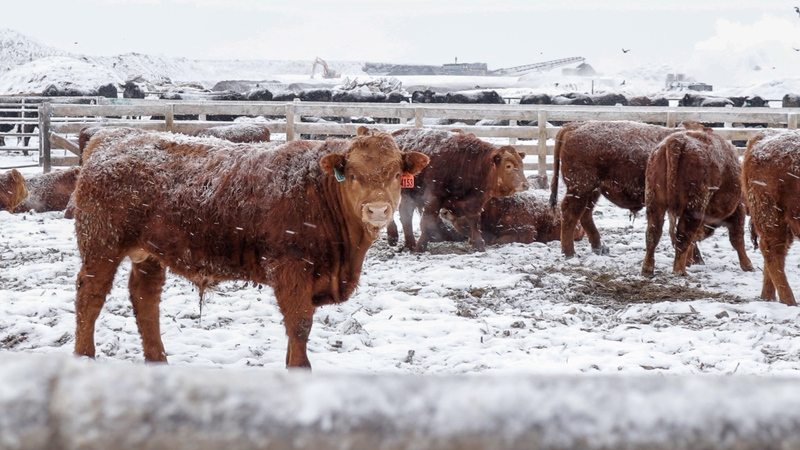 Determining 80 per cent of the genetic improvement to any herd due to the sheer number of calves produced each year, today’s profitable ranch operations are applying an enhanced, inside out approach to bull selection that is more than skin deep. Choosing bulls that meet the requirement of your herd goals starts with looking for bulls that suit your environment, management strategies and overall herd objectives. They, of course, need to be of good physical stature and confirmation, but selecting bulls on sight or breed alone can be costly. Today, technology is providing deeper insights and opportunity for predictability and profitability when it comes to bull selection. Through our proven DNA testing, we are able to better identify hybrid bulls with sought after growth rates, carcass traits and/or fertility characteristics. Today, Beefbooster has four strains of hybrid cattle with strict seedstock criteria. Our animals are selected largely based on genotype. Our maternal bulls are genetically unrelated and bred to increase hybrid vigor and enhance reproduction and lifetime productivity. In fact, maximum hybrid vigor can increase lifetime production by as much as 25%. Since 1970, Beefbooster has been helping producers with our, “We don’t guess, we test,” approach to the business of bull battery – supplying cow-calf producers with three types of bulls; terminal cross, maternal and heifer bulls. Our terminal cross bulls are designed for mature cows that have the ability to calve larger calves that are fast developing and increase the rate of lean meat growth past weaning. Our maternal bulls provide the foundation to produce daughters that will form the basis of a profitable cow herd with maternal mothers that will raise a superior calf each year with minimal over-winter maintenance. Our heifer bulls are smaller framed bulls, designed specifically with calving ease in mind for breeding to yearling heifers. This means a maximum birth weight restriction of 74 lbs (less than 3% of their heifers). More Predictable Profitability – Beefbooster uses a selection index to weight economically relevant traits to produce cattle with more profitable outcomes. Using both phenotypes and genotypes in the calculation of estimated breeding values (EBVs) produces a more reliable EBV.